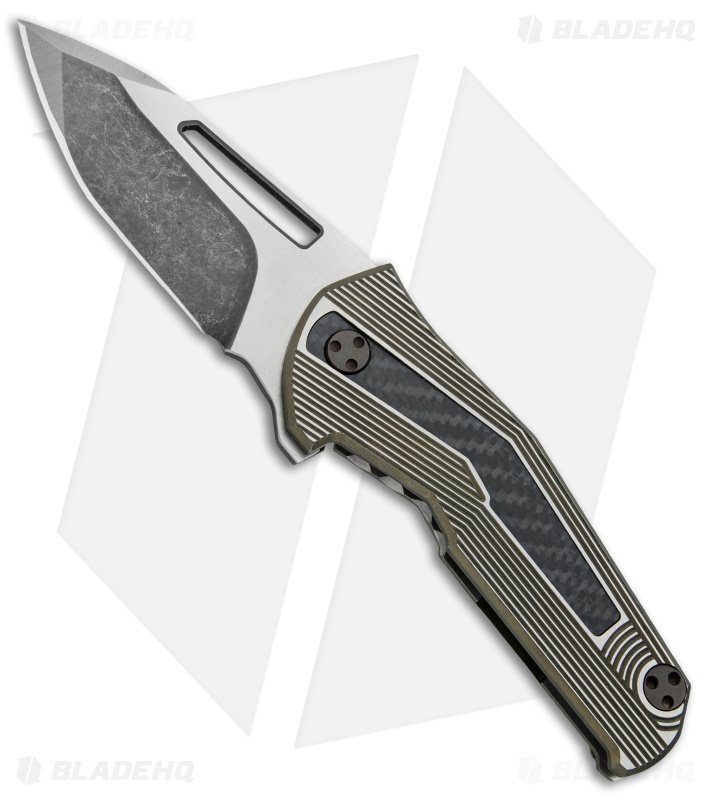 The Sugga flipper knife by Mikkel Willumsen is a sturdy folder with a specialized blade grind for added piercing power. 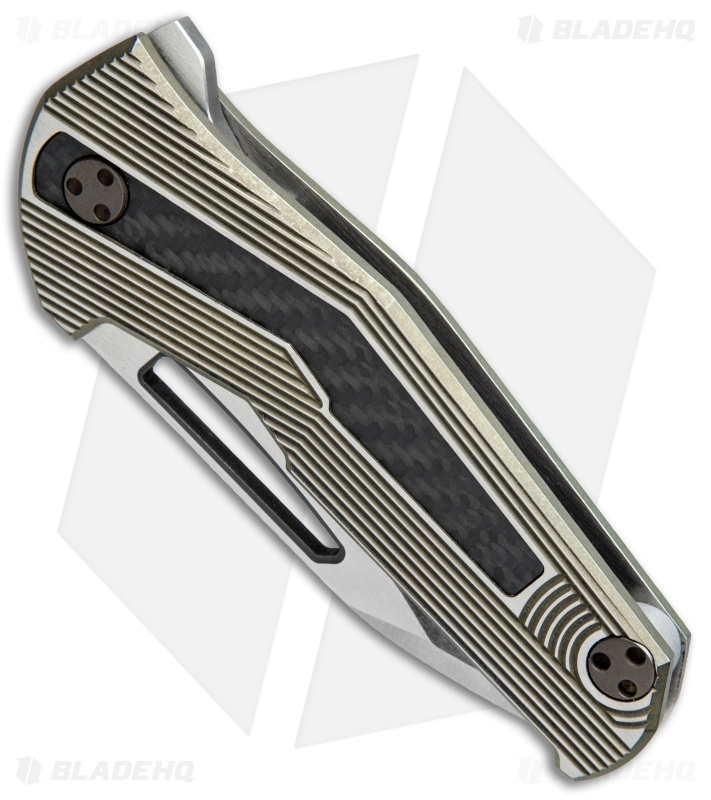 This knife has a ridged titanium frame lock handle with a bronze anodized finish and a carbon fiber inlay. Its blade is made from CPM-154 stainless steel with a two-tone finish, and is easily opened using the flipper or elongated thumb hole. 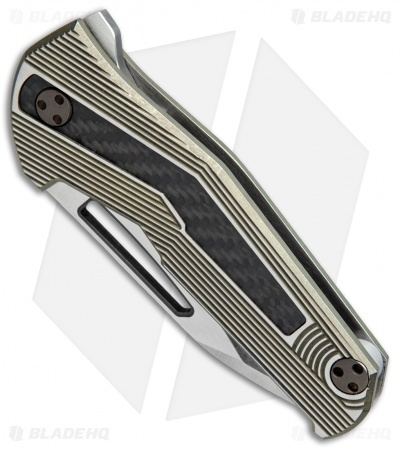 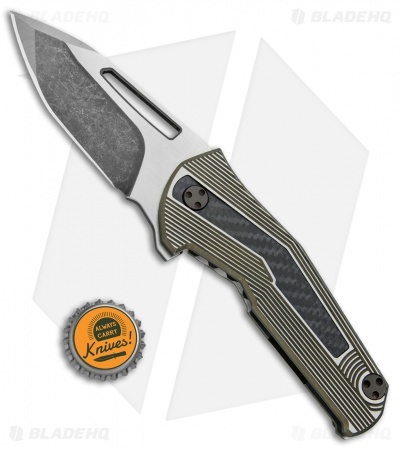 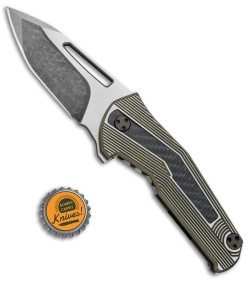 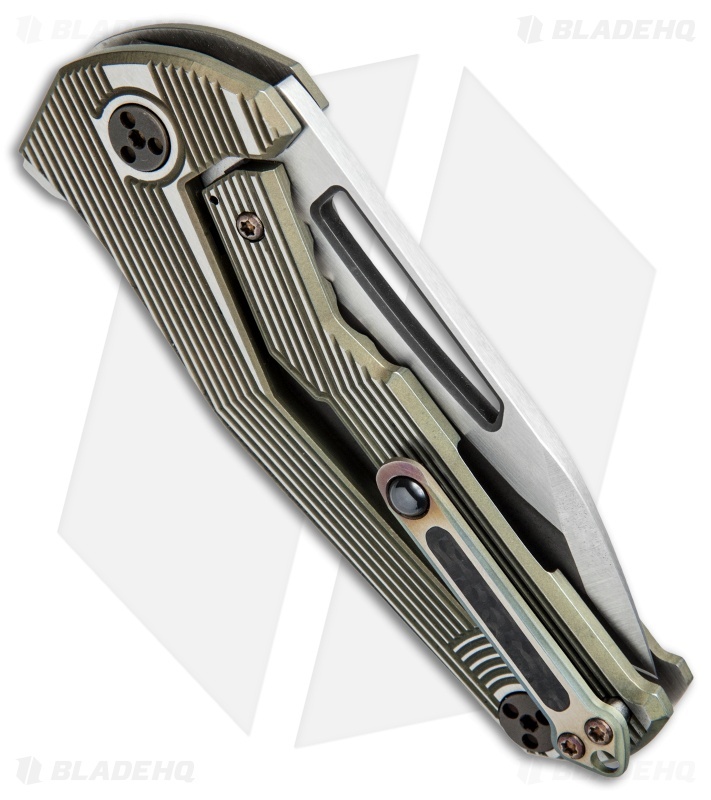 Comes fitted with a carbon fiber inlaid titanium pocket clip with a flamed finish.